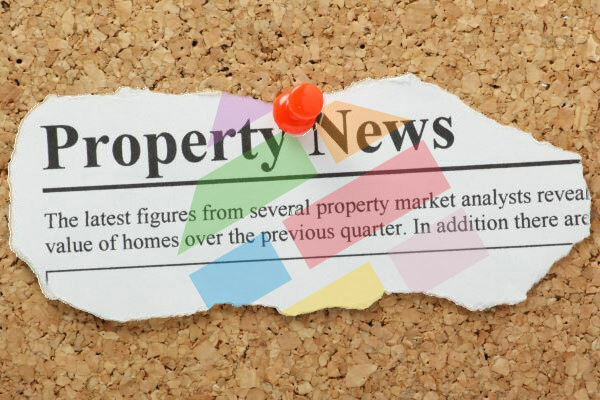 As we enter the 2nd quarter of 2019 Brickowner is pleased to bring you its round-up of press and news coverage in the world of property and property investment within the UK. There is no point in denying the white elephant in the room. Brexit continues to dominate the landscape of the news – property and property investment included. The cause of possible stagnation in property transactions and prices are being placed at the foot of the white elephant, but there are affordability issues too. It’s understandable to look towards Brexit for the ills in the market but a crash has not happened, and on reflection, affordability is probably the more significant factor of the two culprits. The lack of affordable property continues, highlighted by the demand for social housing in England, and is helping to underpin rising prices outside of the capital. This, along with only recently rising wage growth, is a significant contributor to affordability issues causing the slow down. Nonetheless, fundamentals of supply and demand and the resulting lack of housing are changing the generational makeup of rural areas and still making UK-based property investment attractive to overseas investors. A recent report puts a value of around £100 billion on anonymous overseas ownership, which has increased calls for a register of UK property owners as proposed in the government’s anti-corruption summit in 2016. House builders are also reporting that they are enjoying a profit boost, again highlighting the need for homes across the UK. Given the large number of reports about a slump in the property market, a particular part of the Knight Frank wealth report makes interesting reading: shows how in past property slumps, London (the area worst affected by the current downturn) has always bounced back stronger. This gives food for thought when considering the Savills report looking at historical data: it reveals that fortune favours the brave in the UK property market when taking into account property price increases. The difficulties being experienced by Buy-to-let landlords continue. Increasing regulation, in the form of Ombudsman schemes, Energy Performance Certificates, The Right to Rent and letting fees bans that have all come into force or will come in to force in the next two years, has seen many landlords sell up. The future does not look any better, with Labour wanting to introduce “indefinite” tenancies if they were ever to get in power! Agents – online or off? Estate agents appear to be experiencing the worst effects of the slump. The unstoppable drive of the internet has surely put the pressure on high street branches, with 1,200 branches shutting last year alone – that’s nearly three per day, meaning they’re closing faster than pubs (which have a closure rate of two per day). Clearly, agents will need to change their business plans, but it’s not as simple as just moving to the web. It’s just been revealed that online giant Emoov hid £15m in losses from investors before going into administration in December. One of their main rivals was Purplebricks, who have just slashed their sales forecasts by £30m. These two instances suggest that the online agents’ aggressive pricing may be a double-edged sword, stealing traditional agents’ business but without bringing in enough cash. Others seem to be realising this: LSL Property Services has just written down the value of its online arm Yopa, claiming “traditional estate agents will represent the substantial majority of the Residential Sales and Lettings markets for the foreseeable future”. The high street is under pressure, but the internet doesn’t seem to hold all the answers just yet. Disclaimer: This blog post sets out personal opinions which are not capable of being applied universally; following them will not guarantee success. The content is not intended to be a substitute for professional investment advice. Always seek the advice of a qualified independent investment advisor with any questions you may have regarding any of the above. Not all the above will apply to your investment circumstances.